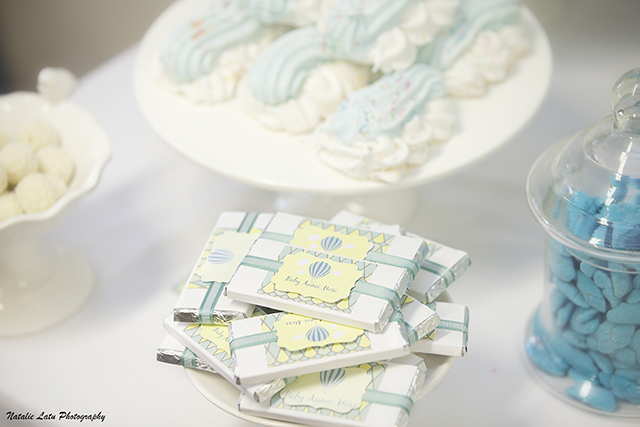 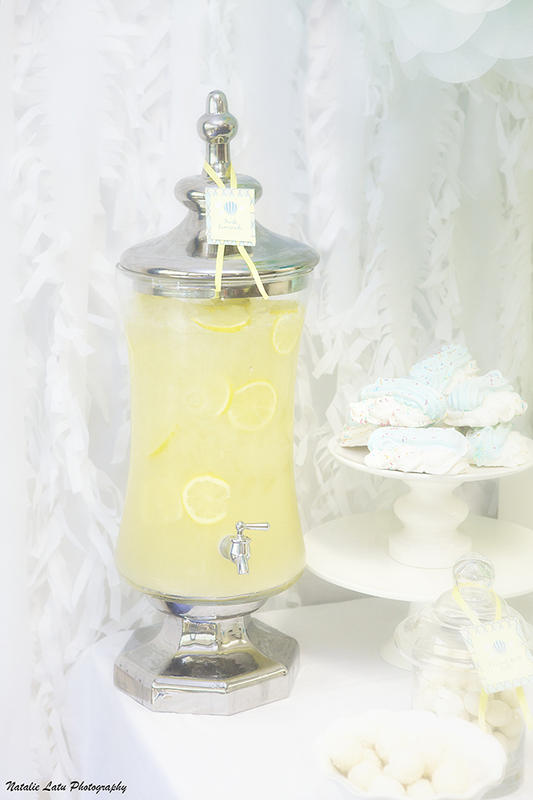 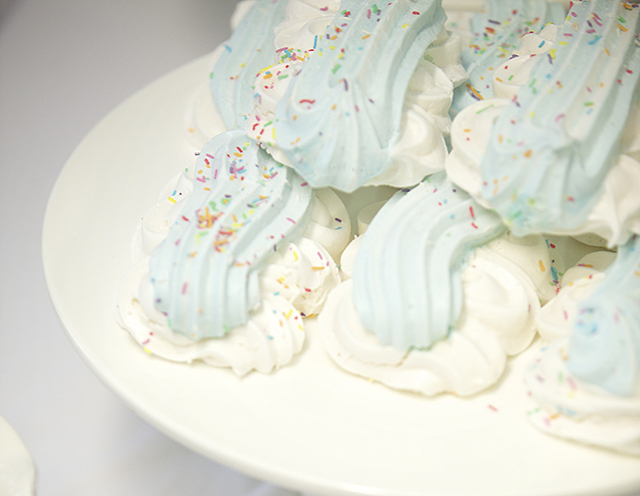 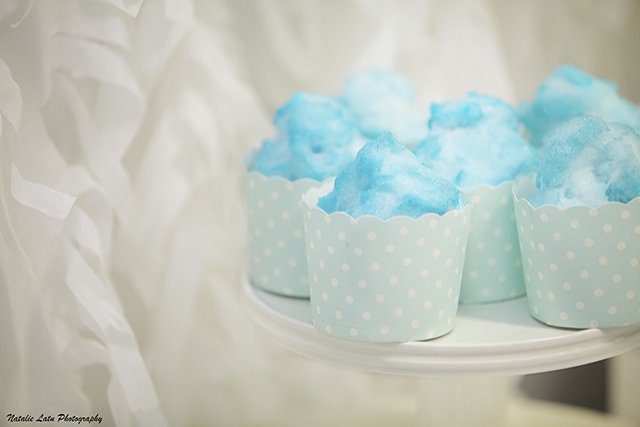 I simply love Baby Showers, they are a celebration of life and family, two things very dear to my heart. 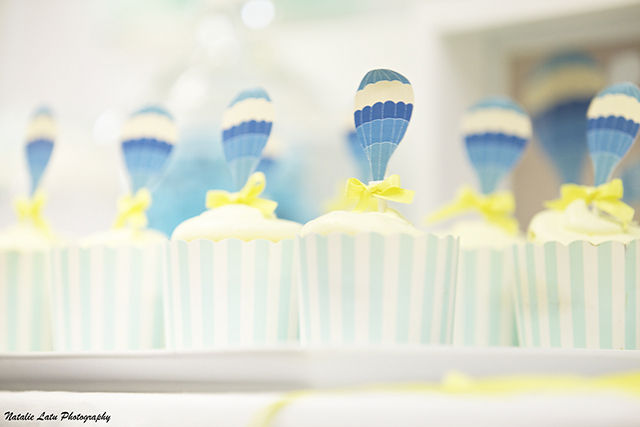 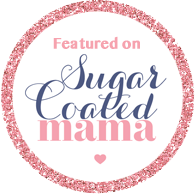 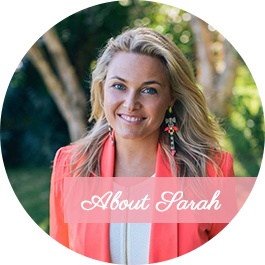 I especially love the excitement around the arrival of a beautiful little person and the fun that can be had at these special events. 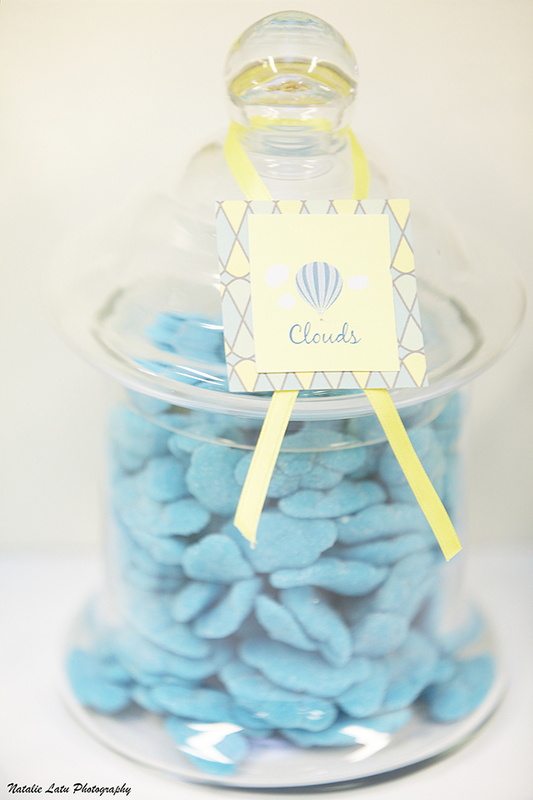 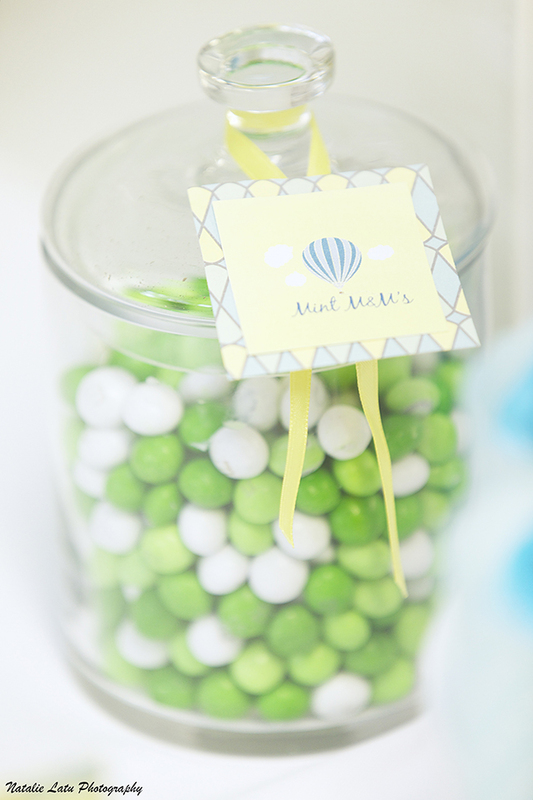 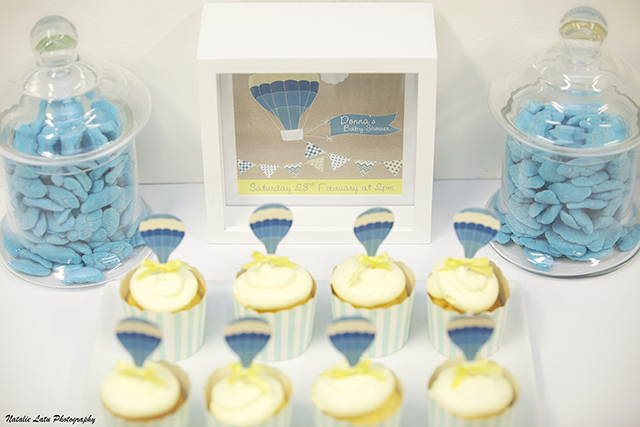 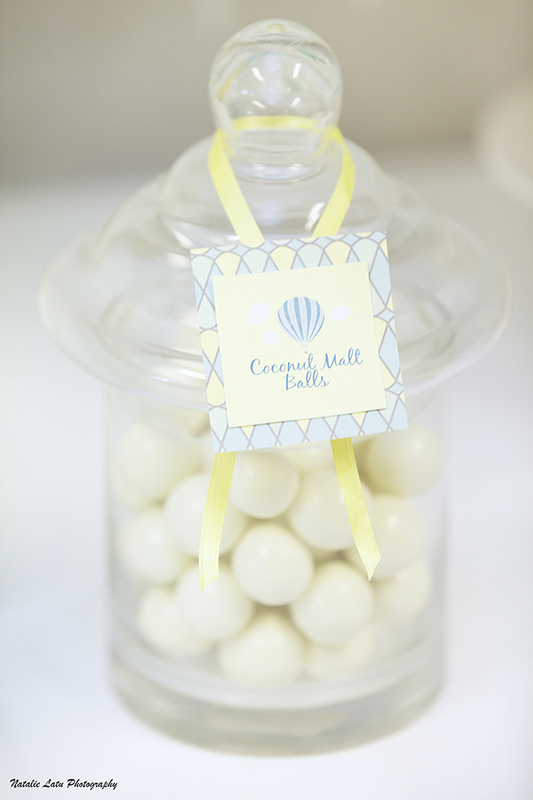 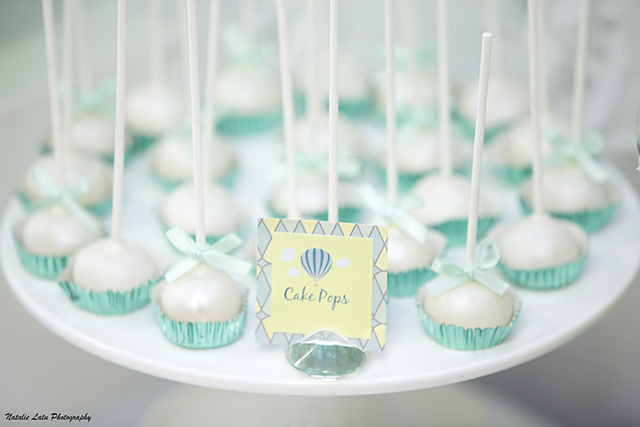 Theming this baby shower was easy, as I was dying to create an Up Up and Away table. 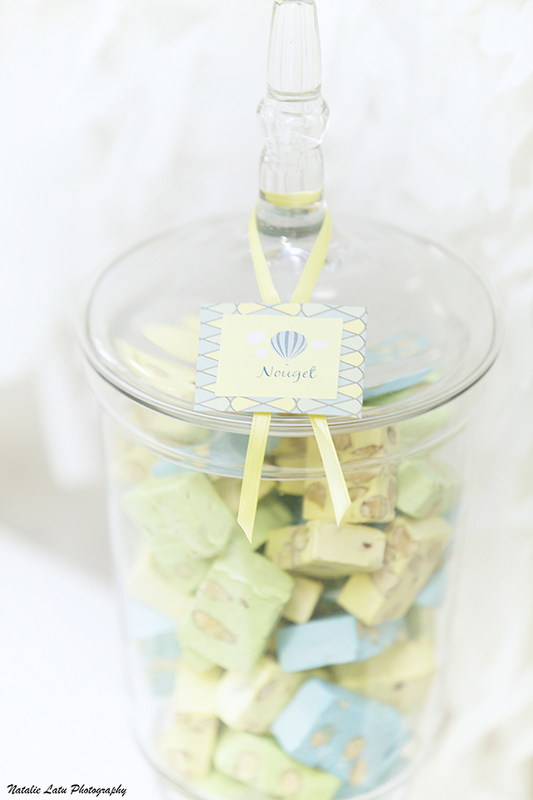 It was for a little boy, so blue was an obvious colour, and I picked yellow, pastel green and white to compliment the base palette. 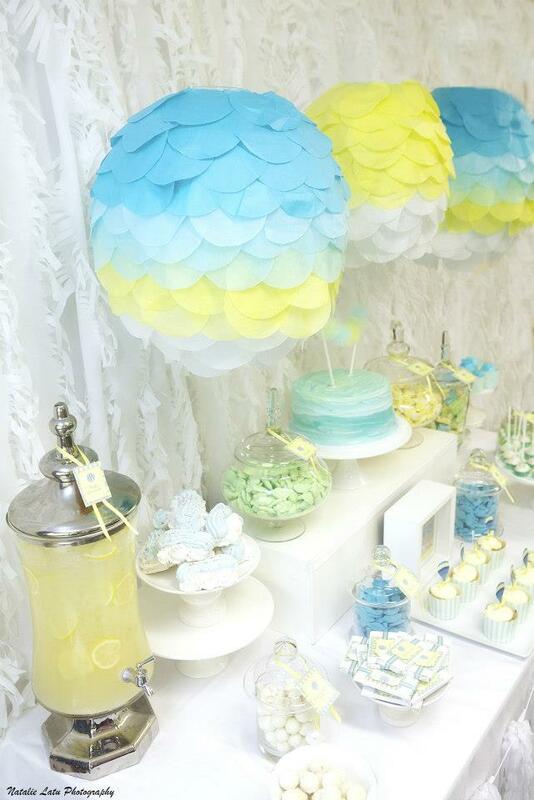 Budget was small, so I kept the table very simple, but it went a long way! 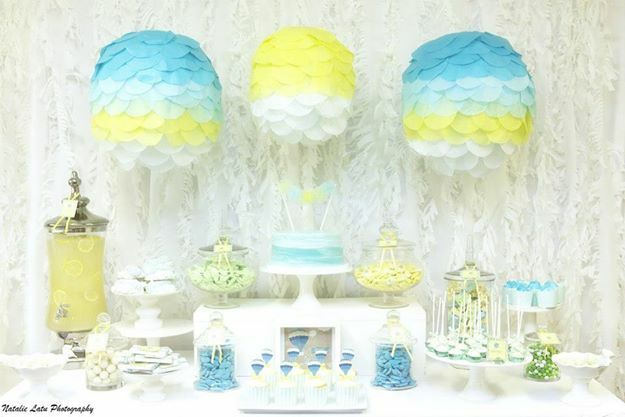 To tie in with Up Up and Away theme I chose to create some fluffly scalloped lanterns, which I have been obsessed with lately, the blue, yellow and white gradient colours really set off the table. 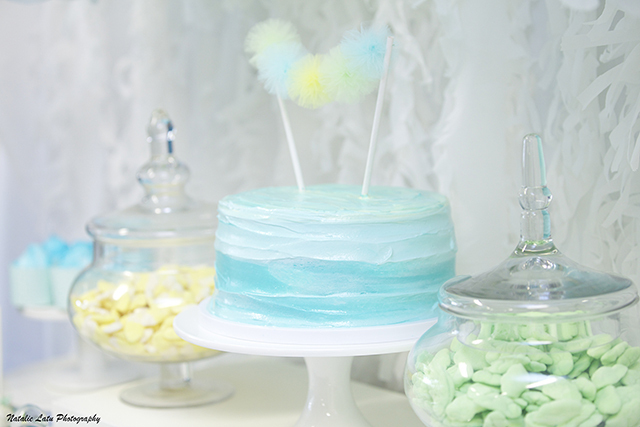 I created a white fluffy backdrop with crepe paper fringe garlands to create the feel of clouds, and used a white table cloth to keep things clean and fresh.